Died: 14th June 1917; age 18; Died of Wounds. Date of Entry Therein: 4th October 1915 – France. 1901 126, Alan Road, Ipswich. John was 2 years old and living with his parents & brothers. Samuel Chilcott, 38, a Brickmaker, born Ipswich. Mary Elizabeth Chilcott (nee Segger), 35, born Ipswich. Samuel Chilcott, 14, a Brickmaker’s Labourer, born Ipswich. Frederick Chilcott, 11, born Ipswich. Sidney Chilcott, 5, born Ipswich. 1911 East Suffolk & Ipswich Hospital, Anglesea Road, Ipswich. John was 12 years old, at School and a part time Milk Boy – Farmer. He was a Patient at the hospital. On the 14th June 1917 at 07:30 a.m the attack was launched. within ten minutes Hook trench had been captured and a hour later the remainder of the trench system on the hill fell into our hands. 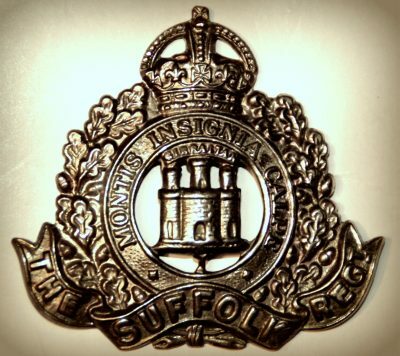 After a certain slackening in the situation the enemy counter attacked at about five o’clock in the evening, the garrisons of Hook, Tool and Long trenches being subjected to a violent bombardment. Between June 13th-18th the casualties amounted to 250 men.